Slim BEAM Quad IRC is a versatile fixture that is not only ideal for accenting walls and other surfaces, but also can be used to create unique beam effects. With no moving parts, it's ideal for venues where silent operation is essential. Multiple units can be linked in master/slave mode. 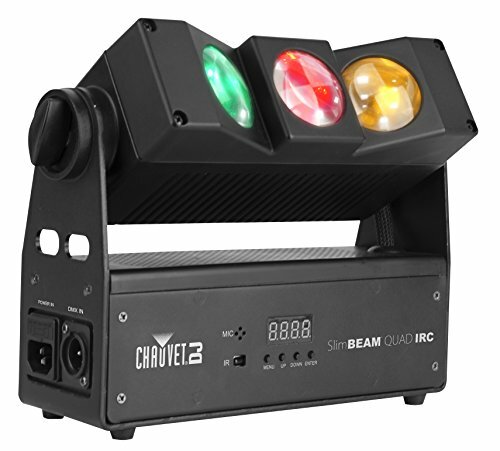 Control options include automated, and DMX mode. Optional IRC-6 remote can be used for wireless control.